Soon after shocking the music world by dropping a new U2 album for free on iTunes, Bono penned a long, personal message to fans about Songs of Innocence on the band's official website. "Remember us? Pleased to announce myself, Edge, Adam and Larry have finally given birth to our new baby… Songs of Innocence," Bono wrote. "It's been a while. We wanted to get it right for you/us. We just finished it last week and thanks to Apple and iTunes it's with you today." The singer went into detail about what appealed to U2 about releasing the album for free on iTunes. "Part of the DNA of this band has always been the desire to get our music to as many people as possible. In the next 24 hours, over a half a billion people are going to have Songs of Innocence… should they choose to check it out," Bono wrote. "That is so exciting. People who haven’t heard our music, or weren’t remotely interested, might play us for the first time because we’re in their library. Country fans, hip hop aficionados from east LA, electro poppers from Seoul, Bhangra fans from New Delhi, Highlifers in Accra… might JUST be tempted to check us out, even for a moment. What a mind blowing, head scratching, 21st century situation." 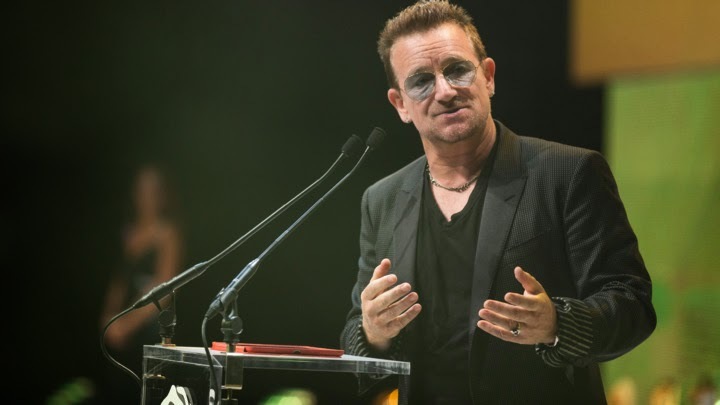 Bono reiterated that Apple bought Songs of Innocence to thank their users for their patronage, and that the band was appropriately compensated. "To celebrate the ten year anniversary of our iPod commercial, they bought it as a gift to give to all their music customers. Free, but paid for," Bono writes. "Because if no-one's paying anything for it, we're not sure 'free' music is really that free. It usually comes at a cost to the art form and the artist… which has big implications, not for us in U2, but for future musicians and their music... all the songs that have yet to be written by the talents of the future… who need to make a living to write them. " Bono also hinted that more music from U2 could be on the way. "If you like Songs of Innocence, stay with us for Songs of Experience. It should be ready soon enough… although I know I’ve said that before," Bono wrote while jokingly acknowledging Songs of Ascent, the planned follow-up to No Line on the Horizon that never arrived. (Innocence's "Every Breaking Wave" was originally slated for the nixed Songs of Ascent.) Hopefully, Songs of Experience doesn't have the same fate. As Billboard noted, Songs of Innocence won't be eligible for next year's Grammys since it won't be commercially available until October 14th, two weeks after the September 30th deadline. Sources close to the band are reportedly in talks with the Academy to work out a deal.